Exactly one week after announcing Cael Sanderson as the 12th head coach in Nittany Lion history, the decision is already starting to pay dividends as Penn State received the first of what many PSU enthusiasts are hoping will be a plethora of college commitments from the nation’s finest scholastic grapplers….And best of all, it was a package deal. At approximately ten minutes after eight this morning (or so I’ve heard from one Keystone listener), Andrew and Dylan Alton went on the radio station, WBPZ, to announce that they are giving a verbal commitment to their hometown school….Programs cited by the two young men as missing out on winning the Alton sweepstakes were Big-12 perennial powers–Nebraska, Iowa State, and Oklahoma State, as well as Big-1o members—Michigan and the two-time defending National Champions, the University of Iowa. Both consensus top-5 recruits in the class of 2010, if you name it, the Alton brothers have accomplished it on a wrestling mat….Each owns at least one Pennsylvania AAA State Crown (with Dylan having won back-to-back titles in 2008 and2009). Last Summer, the dynamic duo from Central Mountain accomplished a rare feet, as both were successful in winning double Junior titles in the international styles at the Cadet/Junior National tournament in Fargo, N.D…..In 2007 they almost did the same thing as Andrew swept top honors in freestyle and Greco, while Dylan was a champion in FS and the national runner-up in Greco on the Cadet level. Not without their share of Long Island roots, Andrew and Dylan are the sons of Neil Alton, who wrestled scholastically for Long Beach High School. In fact, when Mr. Alton sat down with LHW earlier in the year to talk, he made it a point to speak openly and honestly about the contribution and impact that Paul Gillespie had on developing him as a wrestler. To read this three part interview in its entirety, please feel free to visit: Part I, Part II, and Part III. 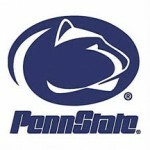 In what some PIAA experts are calling the best junior (soon to be senior) class in Keystone State history, the Altons may only be the start of what has the potential to be a an epic recruiting class for the University Park, PA based school….While all remain unconfirmed, names such as Josh Kindig, Marshall Peppelman (who could also join brother, Walter, at Harvard), Dirk Cowburn, Evan Craig, etc…have all been thrown out as potential PSU signees…David Taylor, the #1 recruit from the class of ’09 who signed with Iowa State this year is also rumored to be exploring the possibility of following Sanderson to Happy Valley, as is 2009 NCAA Champion (3-time finalist) Jake Varner…Iowa State is said to be hesitant to grant releases to either at this time….The 2004 Olympic Gold Medalist is expected to inherit Ed Ruth, the #1 ranked wrestler in the nation at 171-pounds, who previously committed to Penn State prior to Troy Sunderland’s resignation. Should Sanderson prove to be as adept a coach and/or recruiter as he was a wrestler, there is no telling how high the ceiling can go for Penn State…It may not be long before we see the Altons hoisting an NCAA team title….As always, they will do it together.